Freddie is eight and half months now, I still can't believe he is over 6 months already. There's not long until he's one, twelve whole months. It's crazy how fast time has flown by. He's forever grabbing anything that catches his eye now. He's trying his best to pull himself up on the sofas and bum shuffling around the room to get to where he wants. He looks so adorably funny when he just shuffles around. We've got his toybox in our living room and it's full of his favourite toys. He's at the age now where he will sit by himself and play with toys (banging them and putting them in his mouth, of course!). 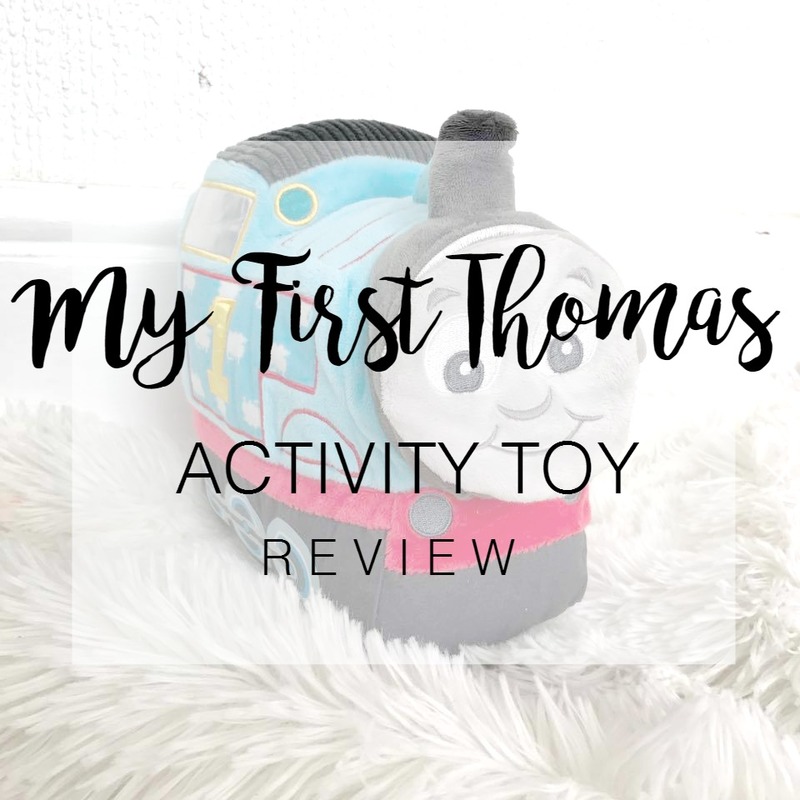 We were sent this My First Thomas Activity Toy and he's loved it since I gave it to him. 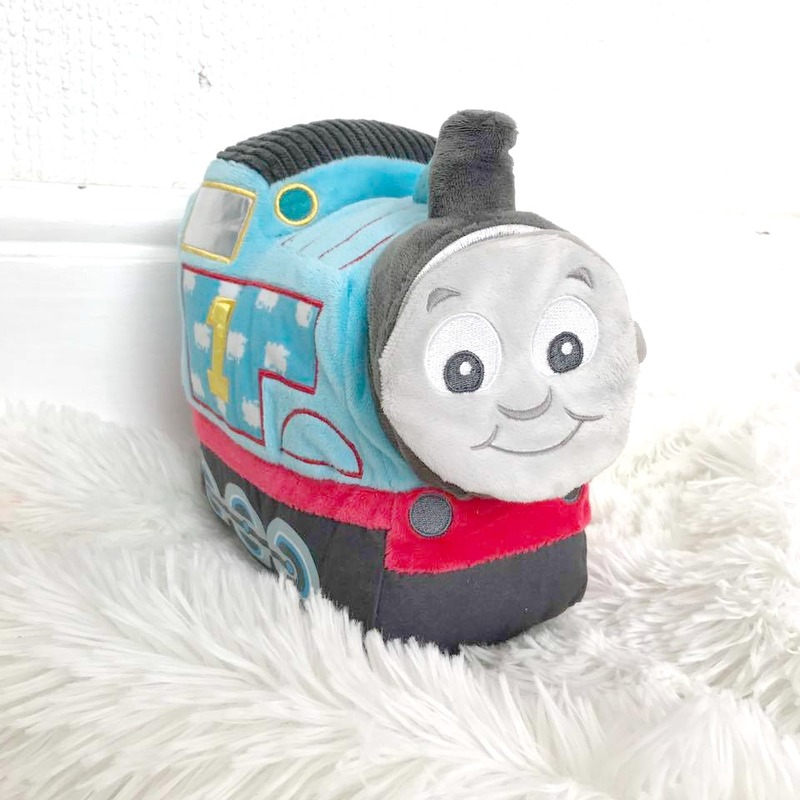 The Thomas shaped soft toy is perfect for little babies. It's really soft with different textures, perfect for development. 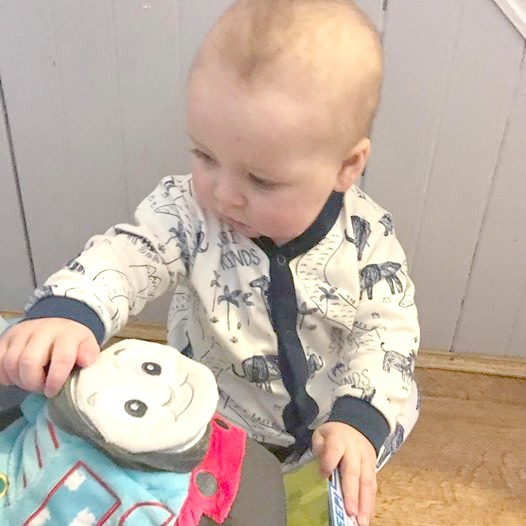 There's a detachable teether, a mirror and three different sounds too. 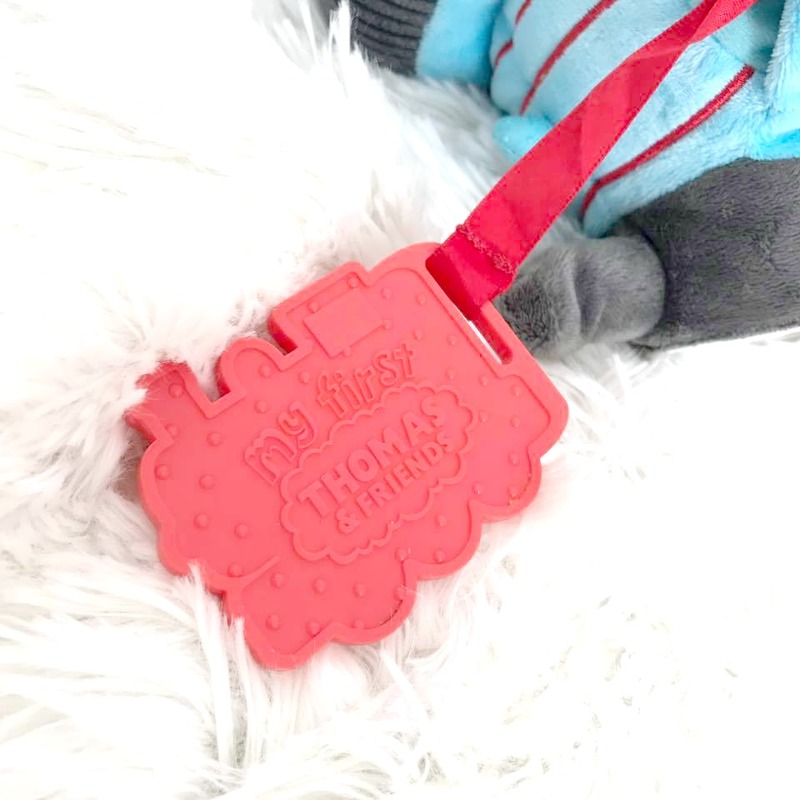 Freddie loves looking at the mirror and biting the teether than hangs from the super soft Thomas. 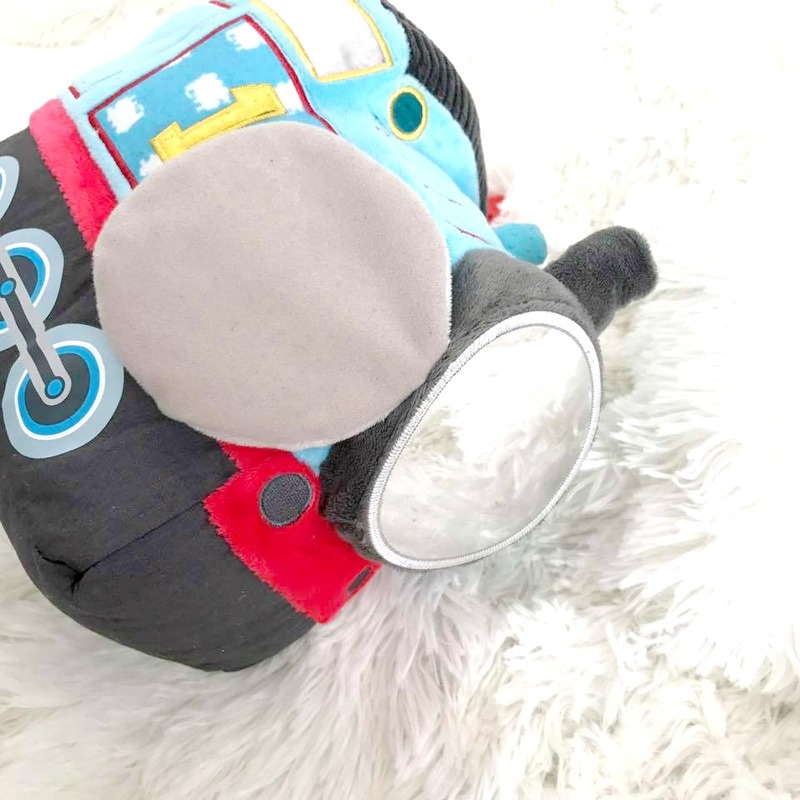 This super soft activity will keep your little ones entertained and happy for a while! Perfect if you want to sit down with a cuppa or need to do some quick housework while baby is quiet playing. * We were sent this item free of charge in return for an honest review. As always, all words and opinions are my own.